In this journey there are many roads that we walk at different junctures of our lives. If nothing else, we learn that in this life, nothing stays the same. 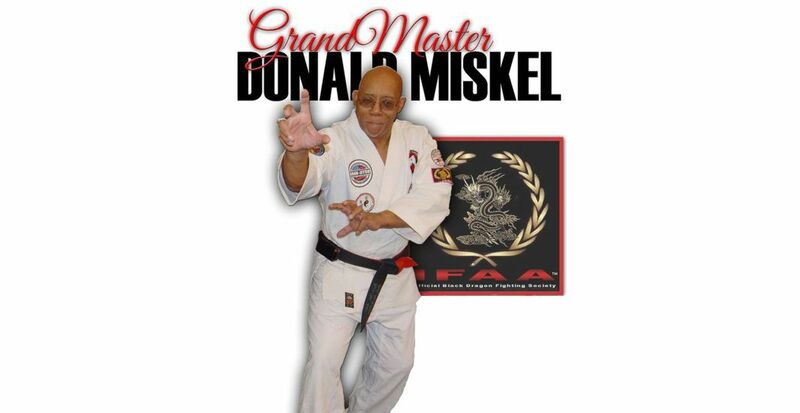 Our study of the martial arts should be a journey of self discovery and personal improvement. Martial science and warfare is nothing new to us. We are involved in spiritual warfare everyday of our lives. We may never have to fight for our lives against a flesh and blood opponent, but we train to prepare ourselves for that possible eventuality. 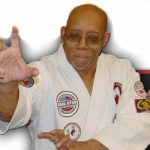 As Christian martial artists, our purpose should not be to learn to fight for the sake of fighting, but to enable us to face our real enemies, ourselves and the adversary. My spiritual brethren out there know who I refer to as the adversary. I refer to Satan, the enemy of God and man. We will discuss that area of spiritual warfare at another time. 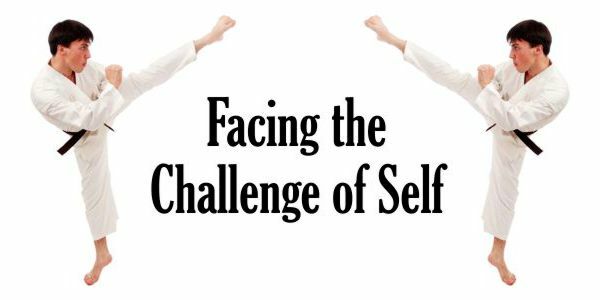 What I want to talk about now is facing the challenge of self. 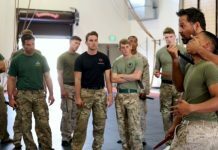 Our walk with God and our Christian careers should be our primary purpose, but to us dedicated martial artists, our training is an additional way of life. It teaches us many lessons about ourselves and those that we interact with daily. 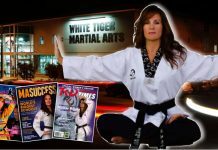 We learn patience, persistence, determination, tenacity, balance, control and self-discipline amongst many other lessons, through studying the martial arts. Our confidence in our own abilities tends to center us and give us a sense of calm. Since we aren’t as threatened by the world around us, we can go through life without constantly looking over our shoulders. Fear compromises our ability to go about our lives with equanimity. Our faith in God'[s protection and our knowledge of our martial arts abilities gives us a sense of protection and well being. The lessons that we learn through our training should permeate every area of our natural life. We don’t feel that we have anything to prove if confronted, and we can walk away from a threatening person without feeling reduced or minimized by refusing to be drawn into a fight. Knowing how frail the human body is and how easy it is to hurt, seriously injure or kill another human being gives us a deep respect for human life. We understand that it is easy to take a life, but it may not always be easy to spare a life if threatened. We can take a life, but we can’t create a life. For this reason, we honor and cherish every living thing. I grew up in harsh surroundings. The need to survive and my feeling of vulnerability made me violent and quick to fight. I would try to hurt anyone that I considered a threat before they could hurt me. I became an affective and accomplished street fighter at a young age. I was vicious as well as violent and in a fight, I went right for the eyes, groin or kneecaps. Because I feared reprisal, I fought to maim and seriously injure, if not to kill. I became accomplished with a knife or a strait edged razor before I was twelve. When I started studying the martial arts it wasn’t to learn to fight. I already did that better than most of the other boys I came in contact with. When I began to train in the arts, I did figure that it would make me a better street fighter, but the more I trained, the less I wanted to fight. With that realization, I started on a road of self discovery that continues to this day. Studying the martial arts makes you see things differently. If you truly immerse yourself in the arts, you will go through life as you do the colored belt ranks in the arts. Every lesson will enable you to grow and move up through the belts of life’s learning experience. The world becomes the dojo and every experience adds to your training. I have learned through the martial arts that, as I advance in rank, I am constantly recreating myself. I find that life is the same way. It is a constant learning experience that catalyzes constant growth and advancement. Life serves up many changes and challenges, some of them painful and even traumatic. I remember the trauma of being thrown to the mat for the first time or the pain of a broken digit from an improper technique. All served as street signs that directed me to the next level in my training. In training, I have seen an often recurring situation that plagues a lot of the Kyu (colored belt) ranked students. In trying to reach that coveted Shodan (1ST Dan) they overlook the lessons of their own rank. To them the black belt is the be all, end all. They are so infatuated with the idea of attaining black belt level that they don’t concentrate on the rank that they have. They glitz over the techniques of that rank, skimming along the surface of each rank instead of becoming immersed in it. They don’t realize that they are building a flimsy foundation for their black belt and do just enough to make it to the next rank. When and if ever they do reach black belt, they will not be good ones. They’ll find out that rank in the dan ranks don’t come as easily as in the Kyu ranks. 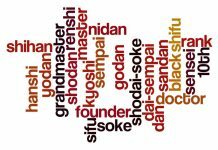 They will never make it beyond Shodan, and the Nidan ( 2nd Dan) will always be just out of their reach. 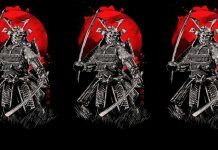 If they are in a strict martial art school, they will learn that the difference between Shodan and Nidan is as great as the difference between the white belt and the black belt. They were never a good yellow belt, or green belt or brown belt. The kyu ranks weren’t important to them. Consequently, they will never be effective black belts unless they go back and relearn their kyohan (basics) over again. Life is much like that. It is a journey of many avenues. Life leads us to many unexpected places, but regardless how inconsequential each experience seems, we will be required to learn from it before we can really move on and advance. Many lessons in life, we will do over and over again until we get them right. There are some lessons in life that you can’t get around. I have recently had an experience that redefined many areas of my life. It definitely redefined my outlook and my approach to the martial arts. I received a severe back injury, not in training but on my job. I worked in mental health and my occupation put me in contact with many psych patients. I have worked the gamut, from the mentally challenged to the criminally insane. I often found myself having to contend with combative patients many of whom were psychotic. The reputed strength of a combative, psychotic person isn’t just a clich. You only have to deal with one of them, hands on, to see how difficult it can be. They will try to hurt or injure you, but you aren’t allowed to hurt them. It is necessary that they be handled humanely because of their illness. You can’t take their aggression personally and you can’t answer violence with violence. I wasn’t hurt by contending with a combative patient, however. I was hurt by catching a large male patient (approximately 300#) that had passed out. He risked serious injury because of the way he fell. I wasn’t working with the patient but I saw him begin to fall out of the corner of my eye. I had to clear the distance that separated us to catch him. When I caught him, I caught him off center and off balance. He wasn’t hurt, but my back was badly injured. The accident resulted in several subsequent surgeries. Two of the surgeries were to fuse the vertebrae in my lower and middle back. I have very little flexibility in my spine because of this. Another result of the two back surgery resulted in some impairment of my right hand. Part of that hand is weak and completely numb. I was left in a depressed state because of the limitations that these injuries imposed on me. It affected almost every part of my life. I’m still walking with a cane, and I had to relearn how to do some vary simple tasks. Because of the injuries, I can no longer work in my profession. My mental health career was my second profession in sixty years, and I am left unable to work at either of them. On top of that, my martial art career came to a screeching halt. I felt that that was enough to be depressed about. I have suffered from clinical depression for much of my life. Along with depression I’ve suffered from PTSD from my career in the military during the Viet Nam conflict. In faith, I had stopped taking the medication that the doctors prescribed to me, some time ago. Because of past experiences with addiction, I’m shy about taking medication. God delivered me from addiction, but I realize that there are things that I have to do to walk in that deliverance. When I was recuperating from the different surgeries, I was prescribed several extremely addictive pain killers. I took them for a few days after getting home but stopped taking them against medical advice. I felt that it was better to deal with the pain than to flirt with a new addiction. Working psych, I have dealt with any number of patients who became addicted under a doctor’s care. So, now here I was again, threatened with severe depression. I have learned in my Christian walk that there is no coincidence or happenstance in God’s universe, especially in the lives of his people. The Christians inopportunity is God’s opportunity. These situations teach us to “stand still and see that he is God”. Romans 8:28 tells us that “We know that all things work together for good to them that love God, to them that are called according to his purpose”. In doing the work that God has put before me and furthering my education, I have been able to deal with the onslaught of depression without the debilitating affects of psychotropic medication. What many would consider a bad situation, God managed to use to redefine my life. I went back to school and managed to earn two graduate degrees. I have begun to build a new ministry and I have began to work as an evangelist until God gives me new direction in my ministry. I was told that I would have to give up the martial arts. Also, I was told that I could no longer indulge in strength training. I have been an avid weight lifter since my early teens and losing these two activities would prove a major loss. I went along with the doctors for over a year, and watched my physical conditioning dwindle by the day. I finally came to the conclusion that enough was enough. I have begun to train again, both in the martial arts and with weights. I obviously can’t do what I used to do, but I’ve set out on a road of rediscovery. I have in effect begun to reinvent myself. I have had to learn how to do things differently. 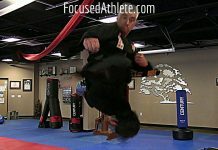 A few years ago, I could do flying kicks. High kicks were no problems. I thrived on them. Now I can just barely kick waist high. As a blind man learns to compensate with his loss of sight with his other senses, I learned to use weapons and techniques that I had never chose to perfect before. I walk with a cane, not the kind with a hook but a stright cane with a knob on the end. What a martial artist might call a hanbo. Needless to say, I have become quite proficient with it as a martial arts weapon. I have begun to put more emphasis on the Aikijitsu and Jiu jitsu techniques that I have learned over the years. 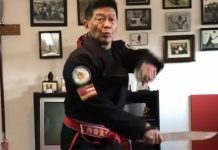 I have begun to use more kenpo and kung fu techniques instead of the hard karate punches that challenge my new physical limitations. As in the other areas of my life I have had to innovate. In all it has been a new journey of self discovery. In my martial arts, I might not be able to compete in the master’s tournament and jiyu kumite (free style sparring) might be a thing of the past, but that’s okay. I had begun to teach and train more for self defense than for sport, anyway. Not that I was ever that big on competing. I’ve always considered myself the eternal student but through this experience I have regained the thrill of learning a new art, except now, life is my teacher. While once, I was thrilled with the objective of reaching my destination, now I am thrilled with the journey. In many areas of my life, I am being blessed to redefine myself. There are few thrills greater than the thrill of renewing and reinventing yourself. We don’t have to wait until a trauma or some tragedy requires us to make changes in our lives. We can choose to change and go in a new direction. After all, that’s what we did when we accepted Christ into our lives. I’m just assuming that anyone who reads this is already a Christian, since this is directed to Christian martial artists. If you haven’t made that commitment in your life, I invite you to make a change. Give your life to the savior. I guarantee you’ll never find a better opportunity to reinvent yourself. God bless you, my martial arts brethren. Train hard, and go with God.